SAN DIEGO (KGTV) — San Diegans packed a committee meeting on Wednesday to sound off on ways the city can lower housing prices. The city has been stuck in a supply crunch that has pushed average rents to more than $1,900 a month and the median home price to $565,000. "We all know there's a housing crisis," Matt Adams, vice president of the Building Industry Association, told the city's Land Use and Housing committee. The meeting was just a day after Mayor Kevin Faulconer announced plans to increase density and eliminate parking requirements for developments near transit areas. This committee meeting was a chance for the public to share their ideas. 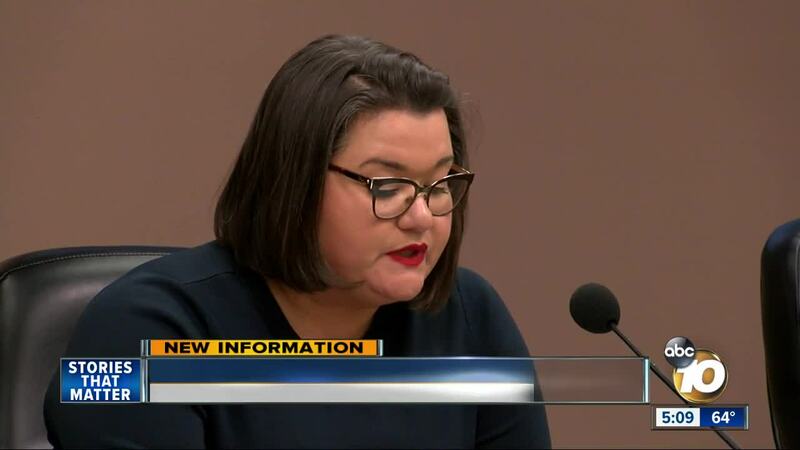 "The prospect of buying a house is completely out of reach for far too many San Diegans and rent continues to increase because inventory for housing units is so low," said Councilwoman Vivian Moreno, who chairs the committee. Stephen Russell, who heads the San Diego Housing Federation, says the passage of propositions 1 and 2 in November could be the key to more affordable homes here. "There's an opportunity to bring millions of dollars to San Diego to build homes for those most in need," Russell said. Meanwhile, Guy Asaro, president of Meridian Development, said the city should make permitting quicker, easier and more user friendly. "There are lots of examples of jurisdictions and states across the country that the process is just simply much simpler," Asaro said. "We can do a great job at looking to those examples." Moreno said the committee will discuss some of these ideas at its next meeting. Meanwhile, the mayor's proposal will go to the city's Planning Commission on Jan. 31 before heading to the full council.